Developer Carthage Real Estate Advisors has revealed new details surrounding a major redevelopment of the Ennis Francis Houses in Harlem. If approved, the long-dilapidated housing block would be demolished and replaced by two new residential buildings offering a combination of affordable and market-rate homes. The proposed development would take shape over three adjacent lots. Building A would top-off at 17 stories and comprise about 165,000 square feet. 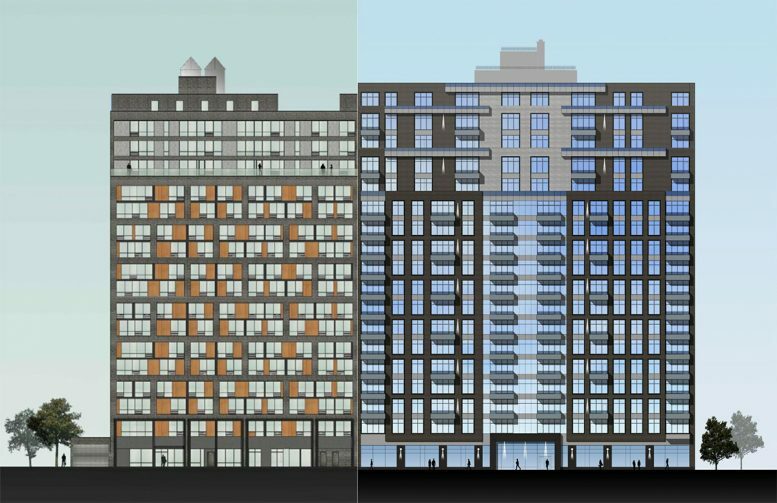 The building’s 173 residences would be reserved for households earning less than 80% of the Area Median Income. A ground-floor community facility would measure 7,164 square feet. At the cellar-level, a parking structure beneath the tower is designed to accommodate 60 vehicles. The second structure, Building B, would rise slightly higher at 18 stories tall. The ground-up, residential building would comprise 184,480 square feet. 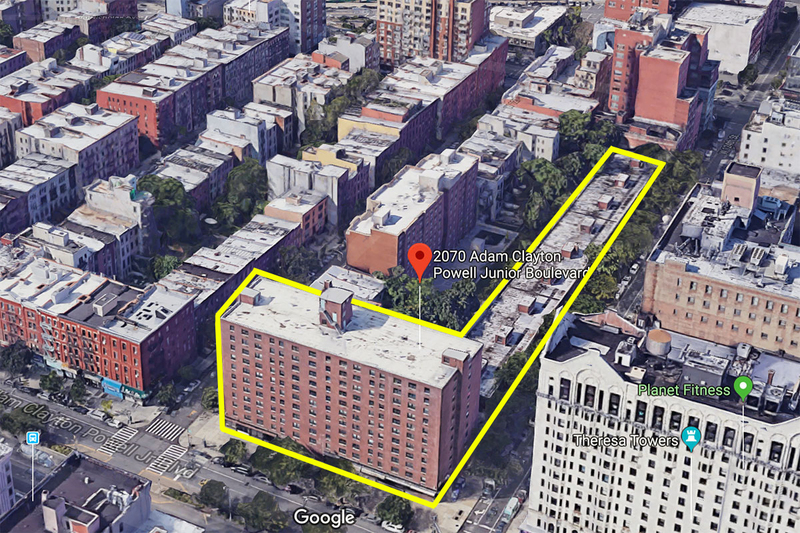 Within, the developer has proposed a total of 149 units, split between 119 market-rate apartments and 30 units for households at 130% of the Area Median Income. The development would also include approximately 39,000 square feet of open space behind the building and above the community facility in Building A. The open space would be reserved for exclusive use by the residents. Pending approvals, the development would be completed within 18-24 months. 3 Comments on "Carthage Real Estate Advisors Submits Proposals to Redevelop the Ennis Francis Houses in Harlem"
Please pardon my using of your space: I for one accept David for all his inadequacies.